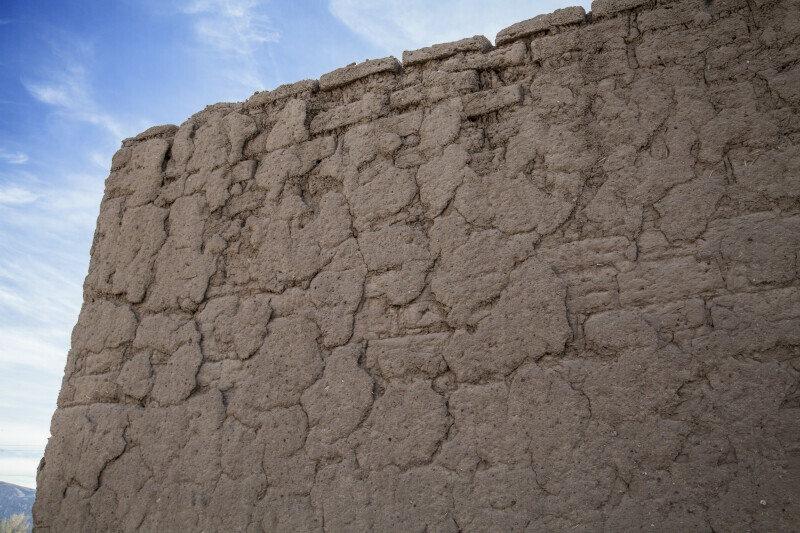 Pictured are exposed adobe bricks, part of the adobe walls of the Alvino House at Castolon. In this instance, the surface coat of adobe has eroded due to humidity or rain. The sky is a rich blue overhead.